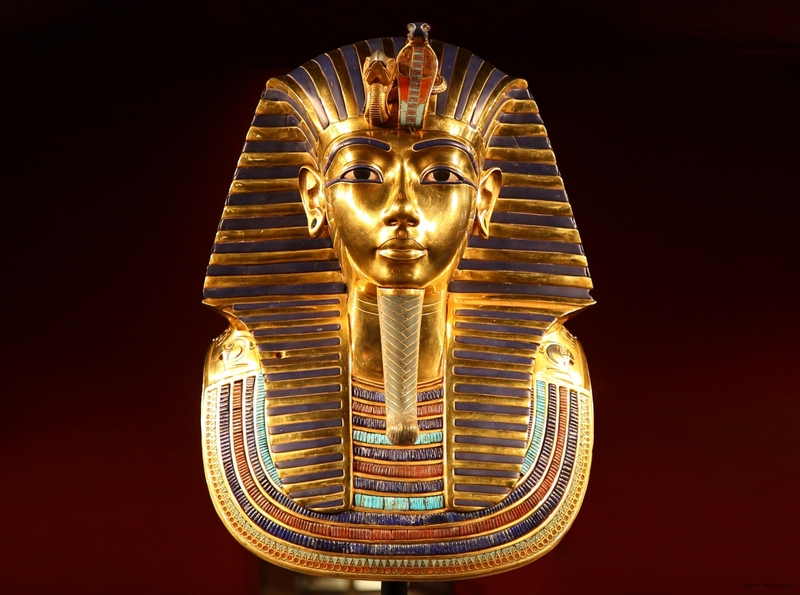 The Pharaohs of Ancient Egypt owned impressive reserves of gold. The precious metal was mined in loose deposits in the country’s south. 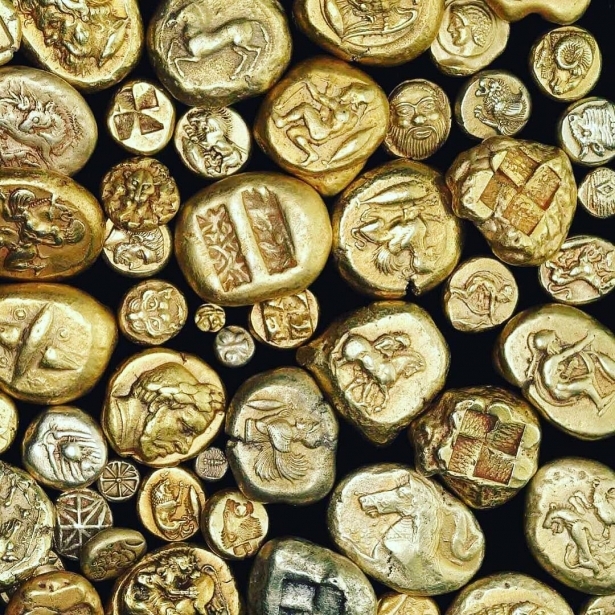 Gold allowed the Egyptian build cities, temples and maintain an invincible army for 2500 years. Pharaohs lived 40 years on average, dying from poisoning and diseases quite often. The rulers were buried with pomp and flair of luxury. The tomb of the deceased king was filled with golden jewelry, fancy furniture, precious items: everything that could be useful to them in the afterlife. Not far from the ancient city of Thebes, the world-famous Valley of the Kings is located: the remains of the ancient Egyptian rulers are buried there. At the beginning of the 20th century, Egyptologists have explored practically all the tombs of the Valley. 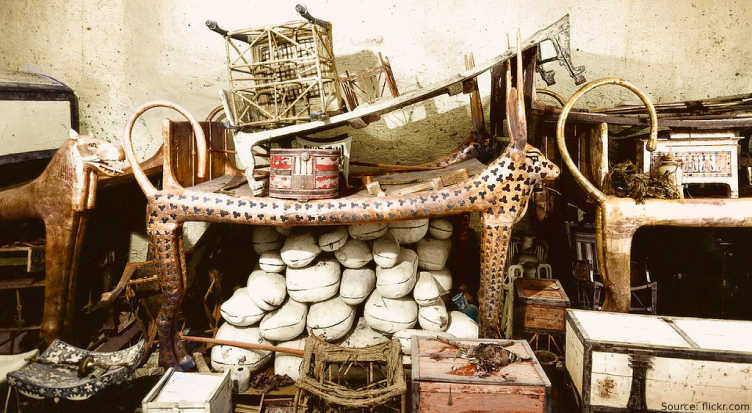 Few believed in the success of the archaeologist Howard Carter when he set off to find the Tutankhamun’s tomb. For six years, the British scientist H. Carter has been exploring sacred dungeons. 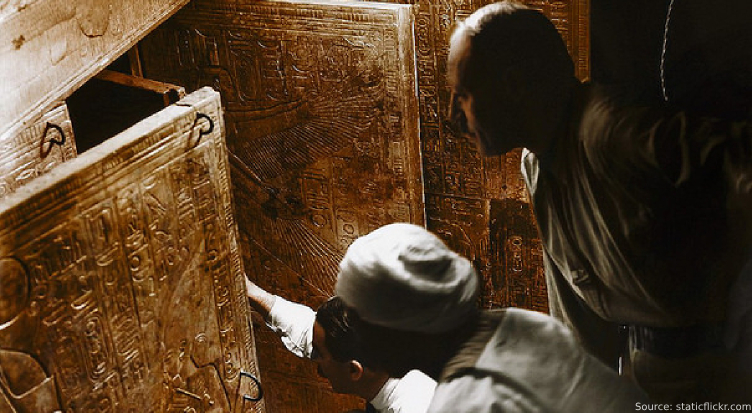 Finally, in 1922, he unearthed an underground passage and saw the sealed door that led to Tutankhamun’s tomb. 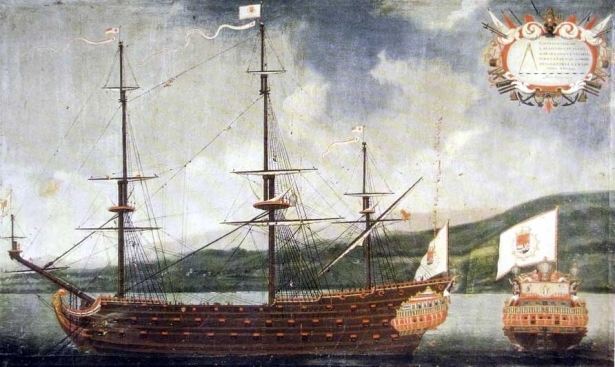 This discovery became a global sensation. 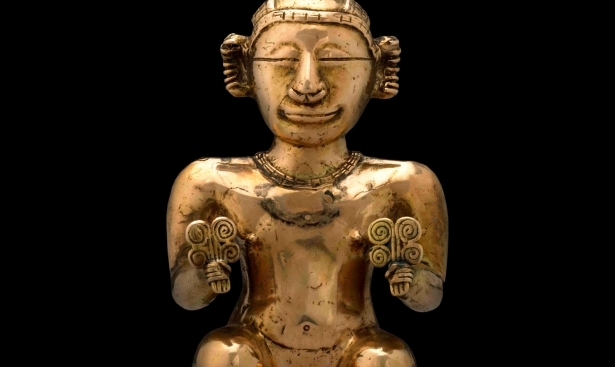 In the first chamber, scientists discovered piles of gilded and gold objects. Among them, the chariots, beds, thrones, head restraints and sculptures stood out. The chamber was filled with food vessels and wine, as well as boxes of gilded weapons. In the photo: The first chamber of the tomb. The photo was taken in 1922. Archaeologists dismantled the wall of the first hall and discovered the third chamber: the main tomb. 3,500 years ago, the young king was buried there. The sarcophagus of the young ruler consisted of eight parts, forming a layer after layers alike the nesting doll Matryoshka. These were four golden cubes, a stone reliquary and three golden coffins in the shape of human bodies. In the photo: Howard Carter opens the second golden sarcophagus of Tutankhamun. 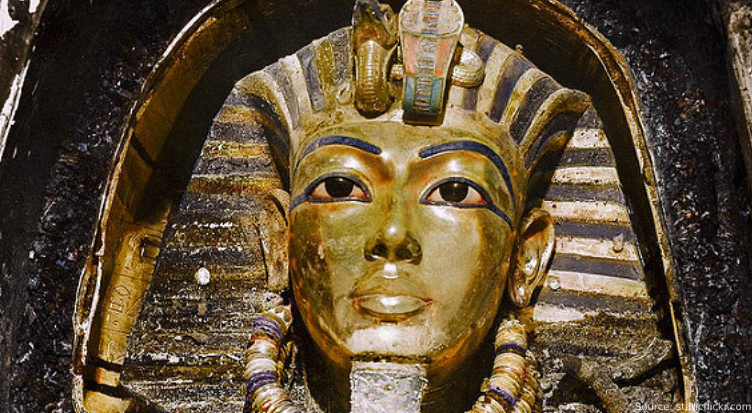 A mummy of a 19-year-old Pharaoh with a death mask has been discovered inside the third golden coffin. On the buried body, archaeologists found a band made of golden straps with prayers, two gold daggers and 141 items made of gold, such as bracelets, pendants, rings. In the photo: Tutankhamun’s death mask weighs 11,26 kg. 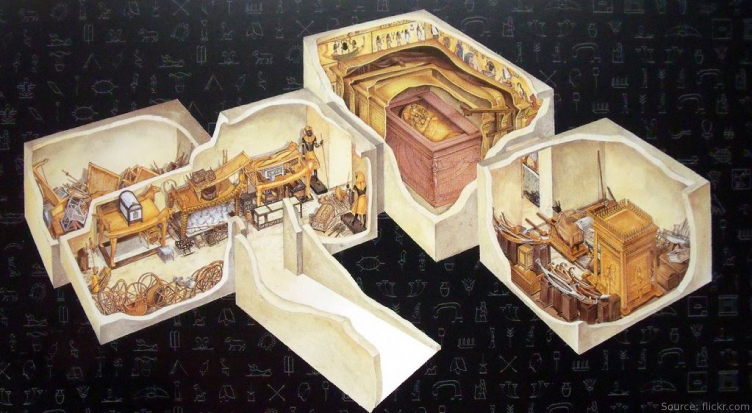 In the fourth and last chamber of the tomb, Egyptologists found 22 chests filled with gilded sculptures of the Pharaoh, six large jewelry chests, a golden ark with ritual supplies and hundreds of offerings and gifts. There were also sarcophagi with the names of the parents and children of the young king. In the photo: This is how the treasury looked like when it was discovered by archaeologists in 1925. British archaeologists have found 4,000 precious artifacts in the tomb. The total weight of gold items and jewelry was 1200 kilograms. 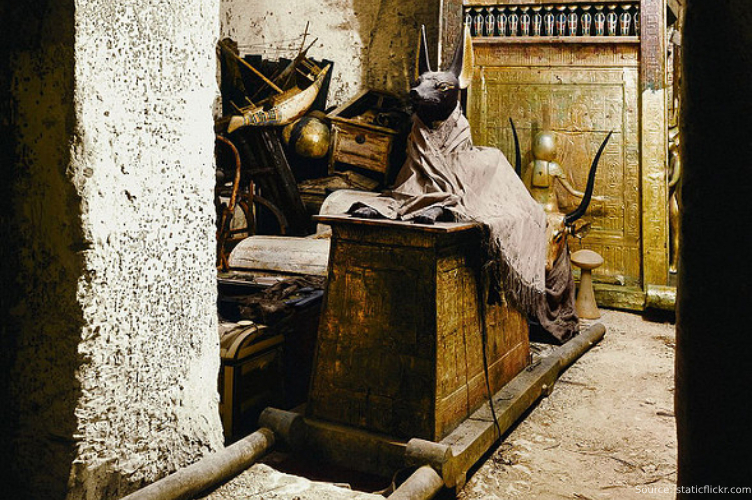 The tomb of Tutankhamun is the only one out of the 138 burials of the Pharaohs preserved intact to this day. Most of the items are stored in the Museum of Cairo (Egyptian Museum), the rest is stored in various international galleries.